Want it by Tuesday 23rd April? Order within 1 day, 11 minutes and choose Next Day Signed For (Special Delivery) at checkout. 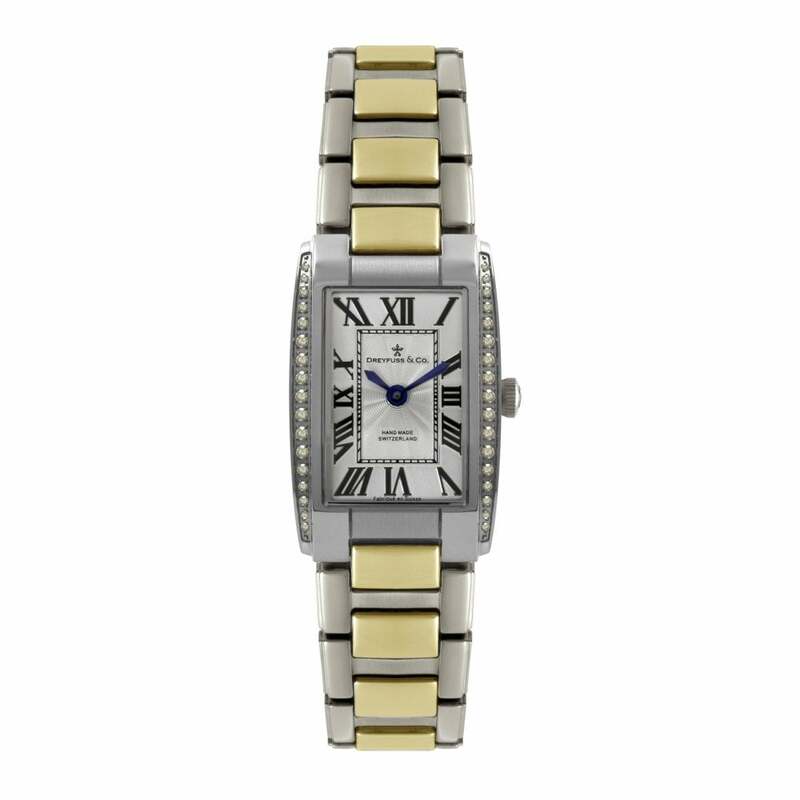 Dreyfuss lady's two tone bracelet watch. Swiss quartz movement in stainless steel and PVD yellow gold plated case and bracelet, silver textured dial with black applied Roman numerals and hands, diamond set bezel and sapphire crystal glass,comes complete with Dreyfuss presentation case and two year guarantee.